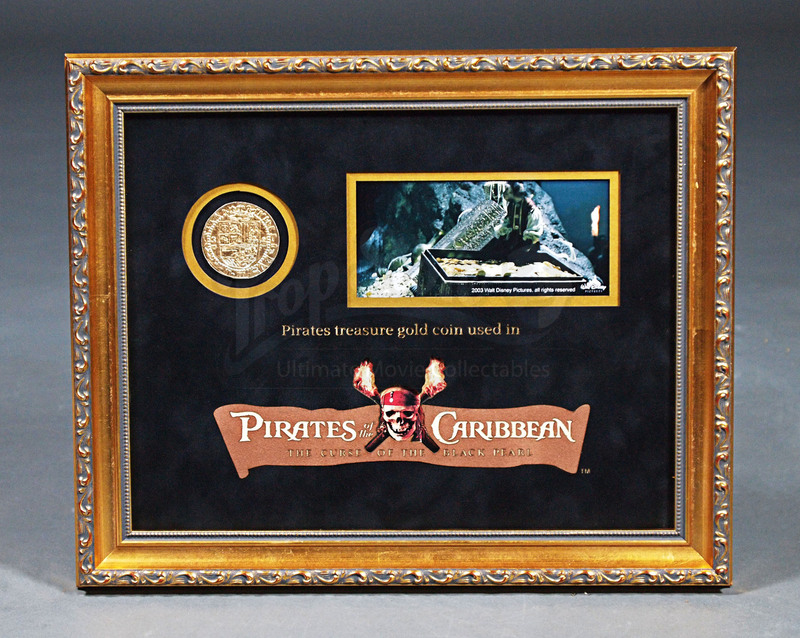 A framed piece of pirate’s gold treasure used in the swashbuckling Disney action-adventure Pirates Of The Caribbean: The Curse of the Black Pearl. 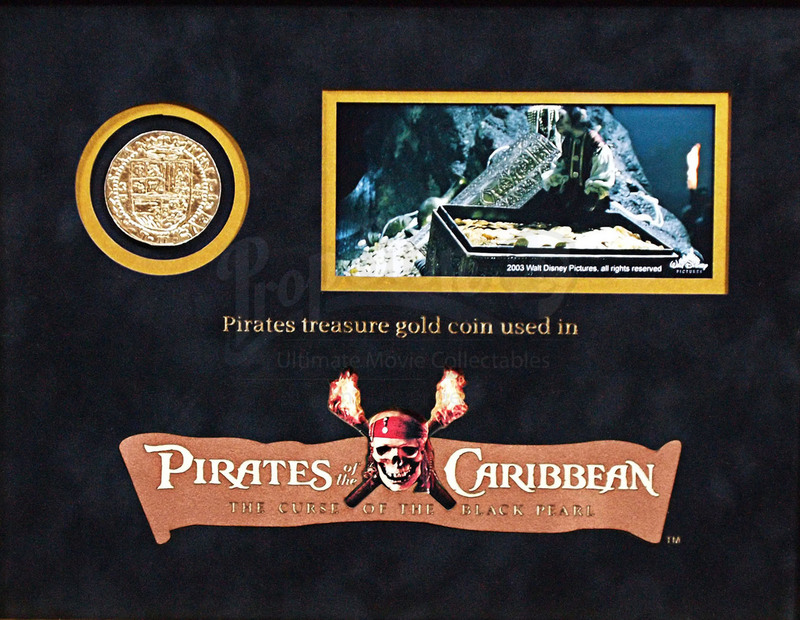 This is one of the treasure coins that can be seen in and around the caverns of Isla De Muerta, where Barbossa and his skeletal crew look to return the Aztec gold and lift the curse. The coin is made of a cast metal which has been plated with gold coloured paint. The coin’s faces feature raised detailing of Latin script and a Spanish cross-like crest. 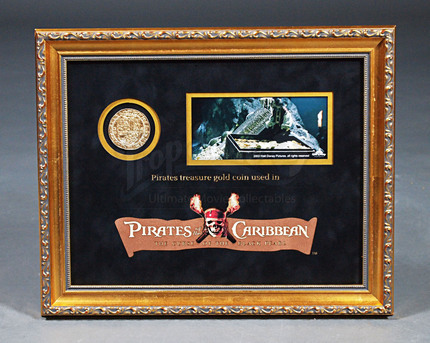 A fantastic little piece from the film, it comes presented in a custom-built gold-effect frame with a black laser cut mount board featuring the movie’s logo, a brief description of the item and a still of the 'monkey Jack' up to no good. The display measures approximately 34cm x 27.5cm (13.5" x 11").